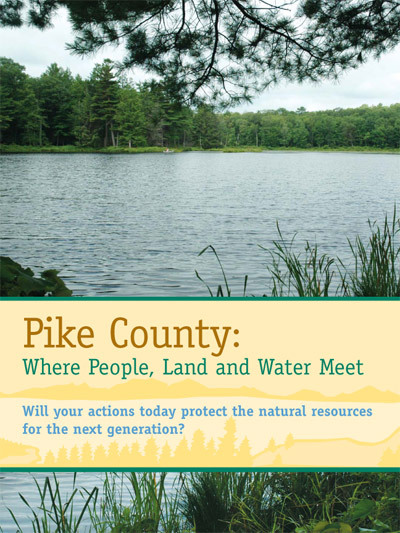 The Pike County Conservation District has several publications and videos available to help maintain a healthy home and environment. Properly managing stormwater can help to prevent pollution, flooding and erosion. This brief overview of stormwater best management practices (BMPs) focuses on the primary types of structures, techniques and actions that can minimize the adverse effects of increased stormwater runoff by controlling the rate of water flow, the quantity that is absorbed into the soil, and the resulting water quality. The Pike County Conservation District produced this video series about stormwater best management practices with support from a PA DEP Environmental Education Grant. 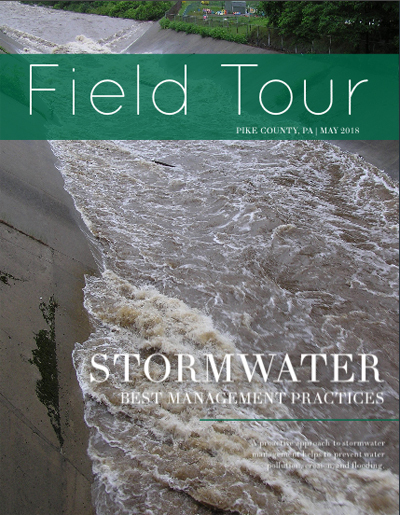 Take a virtual tour of specific stormwater best management practices installed at the Pike County Training Center and the Delaware Valley High School and Elementary School. Get an up-close look at how our Dirt, Gravel and Low Volume Road Program helps to manage stormwater. Take a virtual tour of a project completed on Little Walker Road in Shohola Township, in Pike County, PA. Properly managing stormwater can help to prevent water pollution, flooding and erosion. This can be accomplished by implementing Best Management Practices (BMPs), which are actions, structures and techniques that minimize the adverse effects of increased runoff. 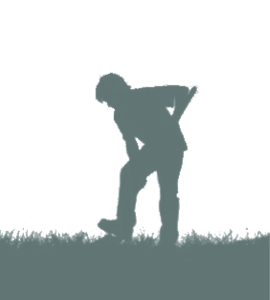 A variety of Best Management Practices exist to help control the rate of water flow, the quantity that is absorbed into the soil, and the resulting water quality. The Pike County Conservation District produced this guide to BMPs with support from a PA DEP Environmental Education Grant. Hard copies of this publication are available at the Conservation District office and Pike County Municipal offices. Valuable information on forestland preservation, stormwater, water conservation, septic system maintenance, protecting water resources and community involvement. This newspaper insert was funded through a League of Women Voters Water Resources Education Network grant. Project partners include the Delaware Highlands Conservancy and the Delaware Township Supervisors. 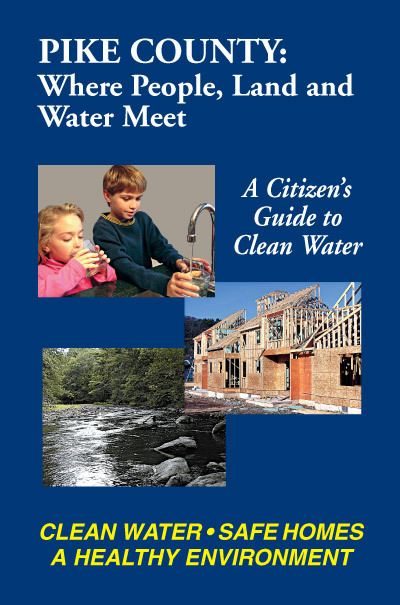 PCCD has created a brochure so you can easily identify your watershed along with some interesting facts about the water resources in that watershed. A watershed is an area of land across which water, and the sediment and dissolved materials it contains, flow on their way to a single common outlet- like a stream, lake or river. 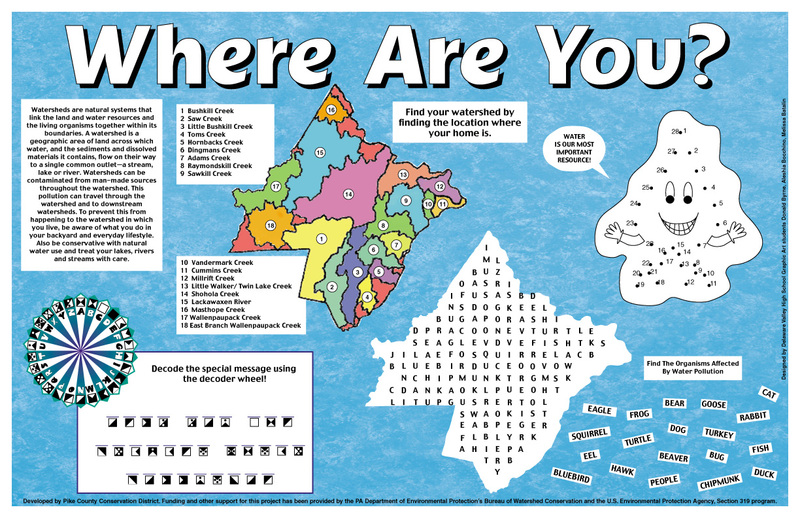 Locate your watershed address through a series of fun puzzles. 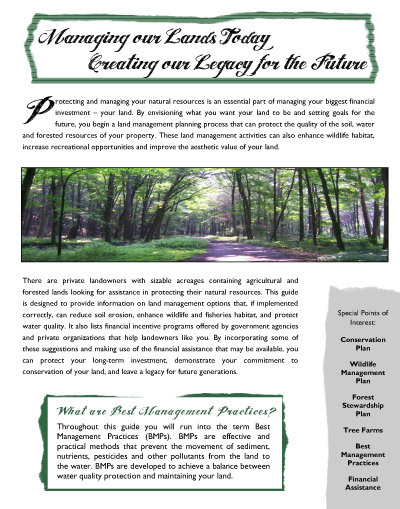 The District, in cooperation with the Pike County Office of Community Planning, NRCS, DCNR, the Agricultural Land Preservation Board, the Scenic Rural Character Preservation Board along with the Pike/Wayne Conservation Partnership have developed a brochure outlining Best Management Practices (BMPs) that can be utilized in Pike County. This brochure also provides information on financial assistance that may be available for landowners to implement some of these BMPs. The District, in cooperation with the Delaware Highlands Conservancy and the Pike County Office of Community Planning, have developed a brochure on conservation options available to landowners in Pike County. The publication provides information in a clear, concise format that all landowners should find valuable. The brochure printing was funded with a Environmental Education mini-grant from the PA Department of Environmental Protection. This simple guide provides water conservation tips and how by conserving water YOU contribute to the communities’ natural resources! Every Drop Counts! Use a Rain Barrel brochure is a result of a 2014 Pike/Wayne Conservation Partnership DEP Environmental Education Grant. The project received a 2014 Northeast Pennsylvania Environmental Partnership Award for their work in environmental protection!